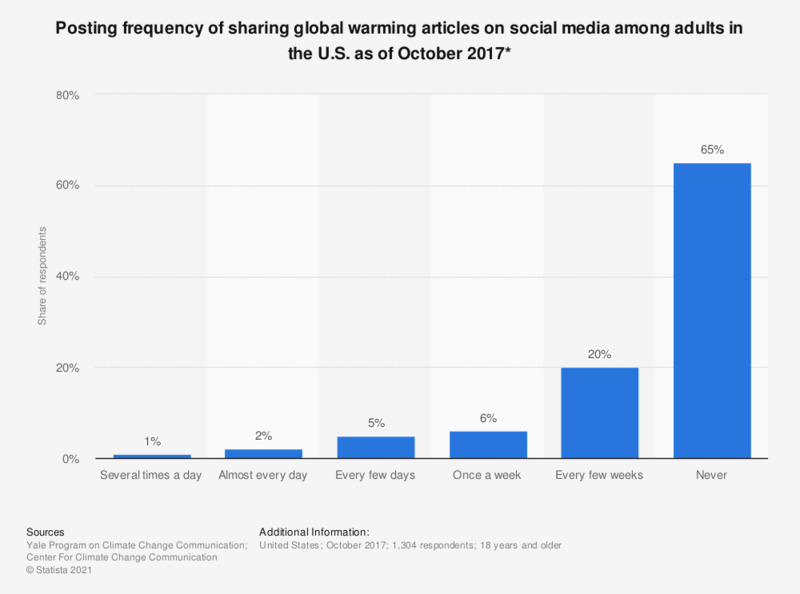 This statistic displays the distribution of U.S. adults based on how often they shared global warming articles on social media as of October 2017. During the survey, approximately 20 percent of respondents in the United States reported posting articles about global warming every few weeks. * This question was phrased by the source as follows: "When you use social media, how often do you share a news story, headline, or story about global warming that you have read or seen on other websites?" Climate Change Opinions in the U.S.
Statistics on "Opinions on climate change in the U.S."
Do you think global warming is happening? How much had you thought about global warming before today? How often do you discuss global warming with your family and friends? What are the key barriers to effective city action on climate change?